A classic meeting point for Old Time Music lovers! District 5 offers lesson scholarships to our younger members. The scholarship provides a portion of the lesson fees to help offset the cost of lessons. Each month we host a Tune Learning at out regular jam. 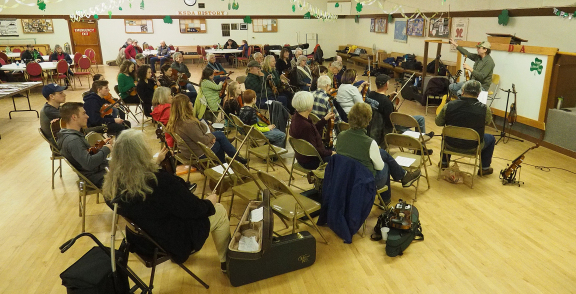 The tunes are taught by one of our regular members and is free to everyone. District 5 hosts several workshops throughout the year. The cost of the workshops can vary, and many are free to WOTFA members.